Halp! How do I programme my training for pole? How the heck should I programme my training for pole? 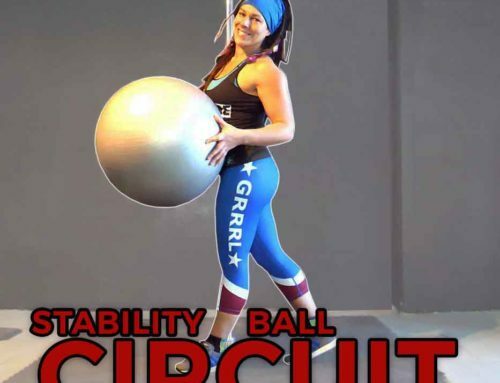 This question has many guises, including: “how many times a week can I do pole?” / “how do I fit my gym training around pole?” / “can I train for pole two days in a row?” / “how many days recovery do I need?” / “when the hell am I supposed to do cardio?”…. etc, etc. Even for those of us who are organised enough to actually have a programme to follow, it can be difficult actually STICKING to the programme without getting distracted. Me: “Wellllllll, let’s see…. so I’m working on flexibility for my bird of paradise. And making my Russian split pretty. And putting my Allegra into that new combo. Annnnd that different machine gun entry. And grooving the movement pattern for that holly drop…..
Erm, handstands. Bridge drop backs. Chest stand. Front splits. 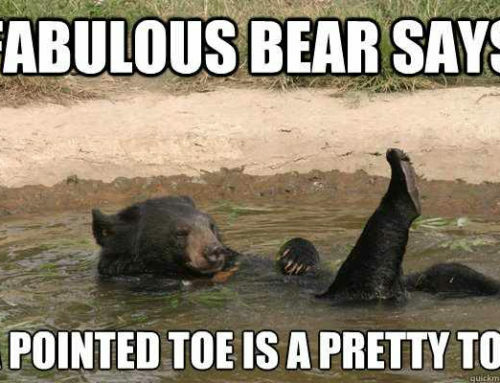 Side splits…. Oh, and then there’s that awesome new trick I saw on Instagram last week. And obviously improving all my PB’s in the gym. And that’s not even the half it! We polers are a determined, feisty, ambitious bunch. Most of us have a “working on it” list as long as the Lord of the Rings trilogy. 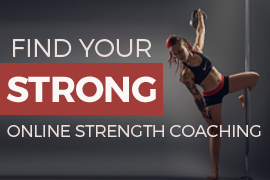 BUT organisation and consistency – as boring as they sound, are what will bring the fastest results when it comes to building strength and getting better at pole. So, how can I organise my training to get better at pole dance? The first thing to note is that this will look different for everyone. For example: someone in their early 20‘s is going recover a lot faster than someone who has just started training in their late 40’s, so those two people might need different amounts of recovery time. ‘Training age’ is also important – if someone has been training pole for 10 years, that person will be able to handle a much higher training volume (as in, they’ll be able to spend more time on the pole!) than someone who just started pole a couple of years ago. This is why you can’t just ask someone else what training programme they are following and do the same thing – we’re all different and will respond differently to different routines and intensities of training. HOWEVER, I want to remove some of the mystique from exercise programming and explain some of the principles behind it, starting with the main concept that underpins programming (or ‘periodisation’). If you can understand this one concept, then you can start to think about organising your own training in a way that is going to be most effective for you and your goals. First, let’s get the terminology right! What is this mysterious “periodisation” you speak of? If you hang around the gym long enough, you’ve probably heard the word ‘periodisation’ being bandied about. Periodisation is just a fancy word for the organisation of training. It is used by athletes to structure their training to try to ensure that peak performance coincides with their athletic competitions. Athletes often have long term programming in place that spans an entire year and their training plans are built around their competitive schedule. However, the same principles underpin all training programmes – whether you are a recreational poler working on your own personal goals, or you are competing at a high level. And the main principle that underpins periodisation – and, thus, the reason why athletes periodise (or programme) their training in cycles is: General Adaptation Syndrome and the concept of progressive overload. In my best attempt to make this oft over-complicated principle as simple as possible, I’ve broken it down into a super short, 2-minute video, complete with quirky graphics and sound effects (because that seemed like a fun thing to do at the time. 3 hours into editing this thing, I went a little cross-eyed 😂). An animator, I am not. But I hope you enjoy it / find it useful! I’ll talk a bit more about some of the different models of periodisation another time, but really this concept is the most important thing you need to know to be able to programme your training. The key take away is this: If your training programme is gradual and progressive – applying the right amount of stress to your body at the right time, you’ll make adaptations. 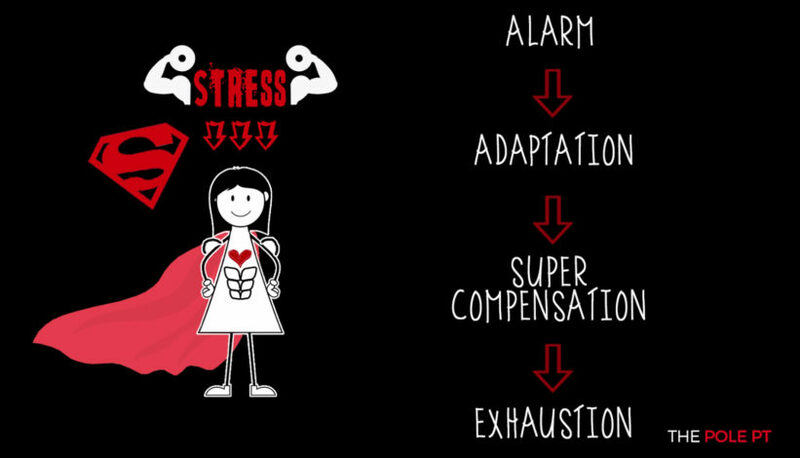 If you don’t incorporate adequate recovery time and you just keep applying the same stress over and over again it’s likely that you’ll stop making adaptations – you could even start to reverse those adaptations. You can find out more about that ‘exhaustion phase’ in my blog on 5 Ways to Avoid Overtraining in Pole. 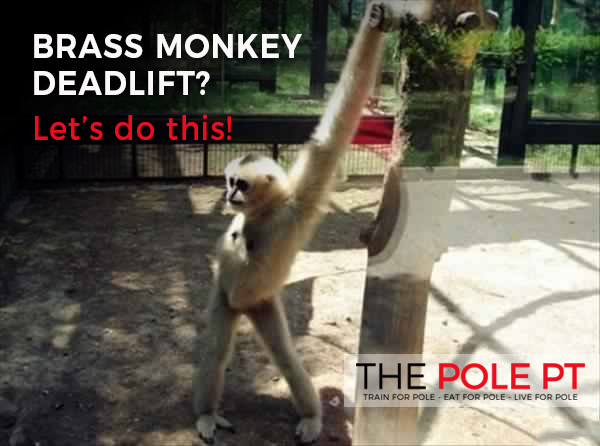 How a training programme for pole should actually look is different for everyone, and depends on many factors. 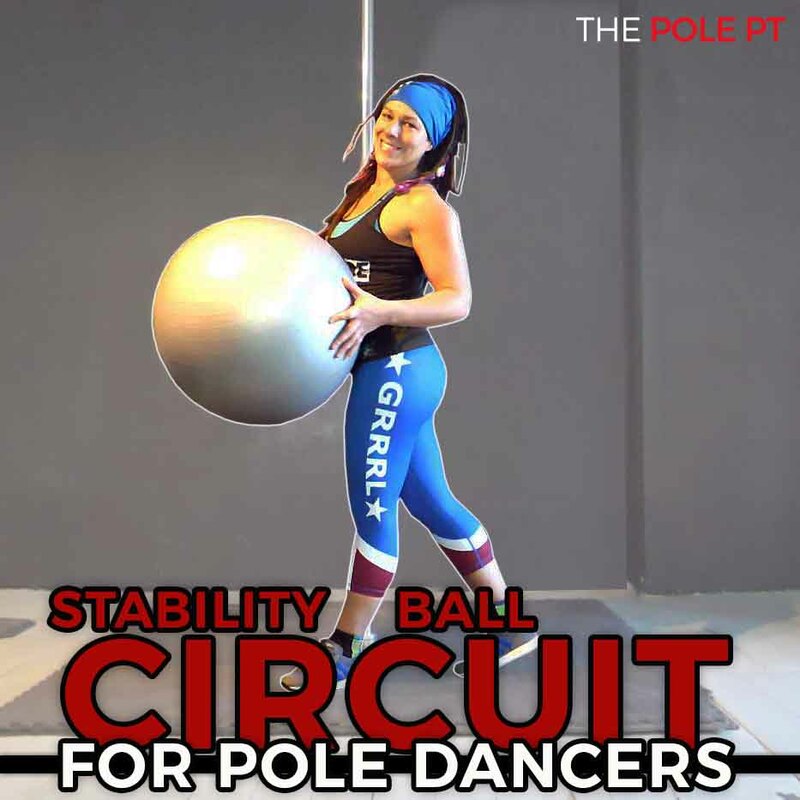 For recreational pole dancers, it may simply be a case of ensuring that you are taking a progressive approach to your training, rotating your training focus every now and then, and making sure you include adequate recovery. 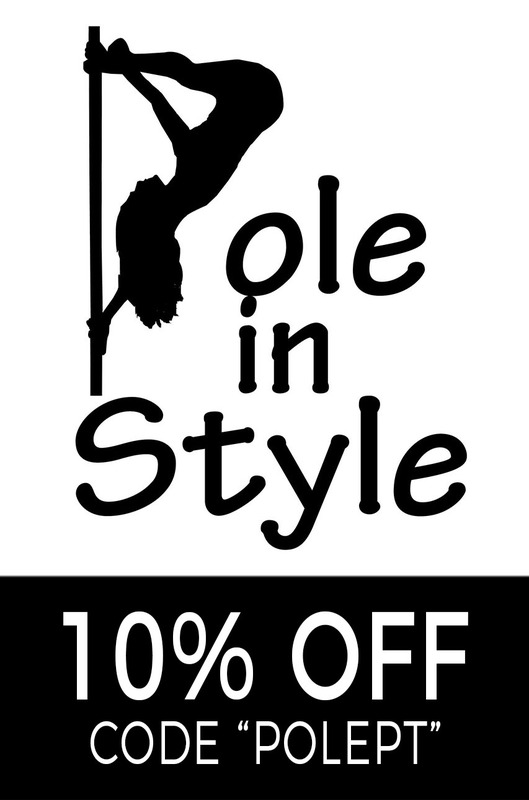 For competitive and professional pole dancers, that structure might be a lot more formal. If you need more help structuring your training or could use a little extra accountability to stay on track, check out my fully customised online personal training programmes for pole dancers. 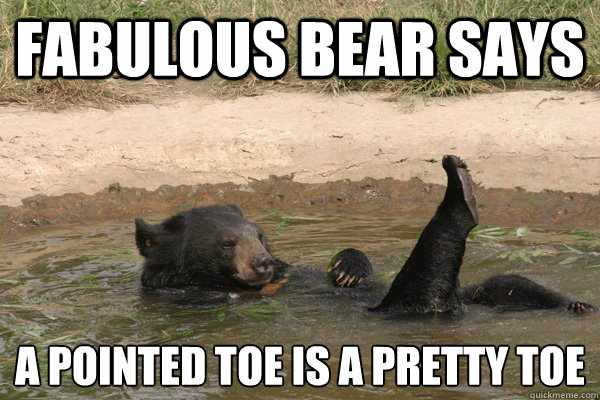 I AM pointing my damn toes!